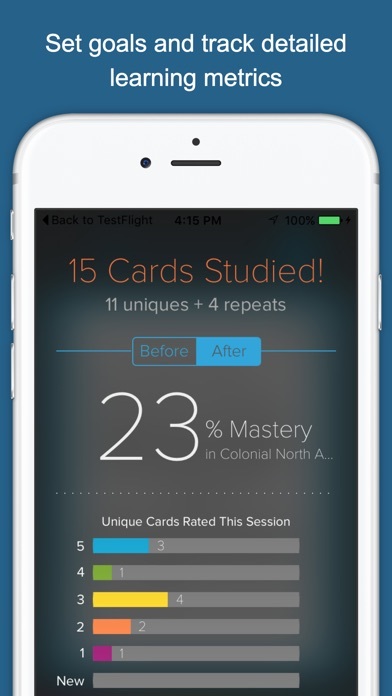 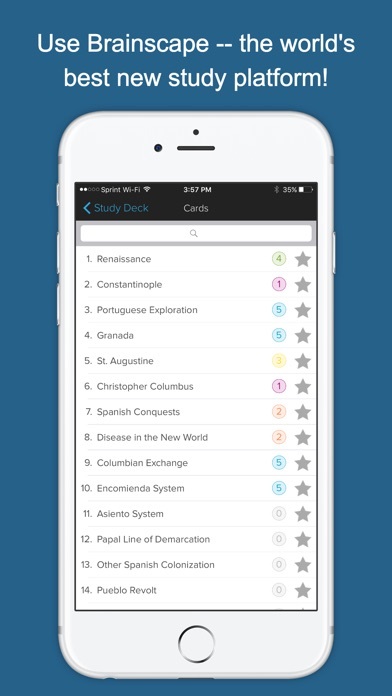 Brainscape’s 1,100+ dynamic flashcards, covering the pre-Columbian period to modern times, present a highly effective, efficient, and fun way to study for one of the most demanding AP courses you will take. 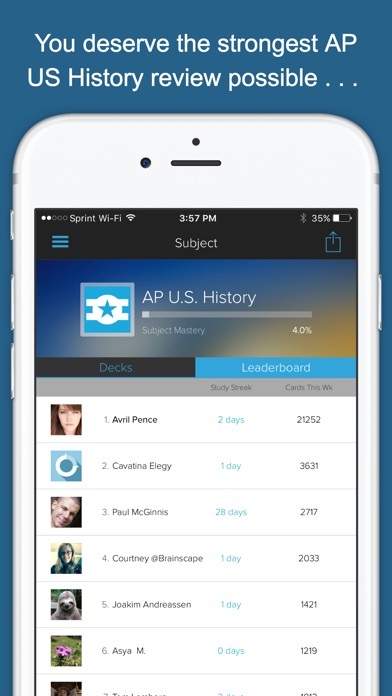 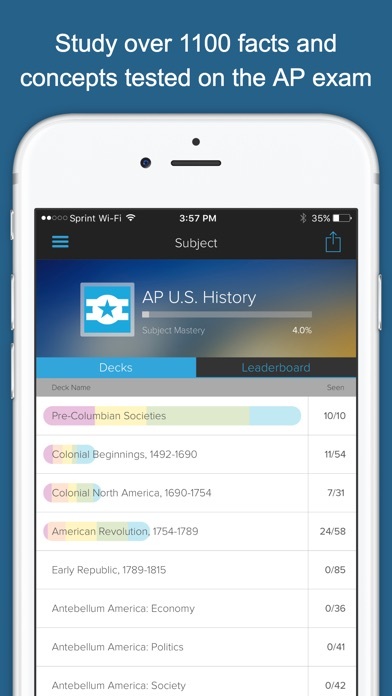 We have conveniently organized card decks according to the College Board’s AP U.S. History topical outline so you know you are covering all your bases! 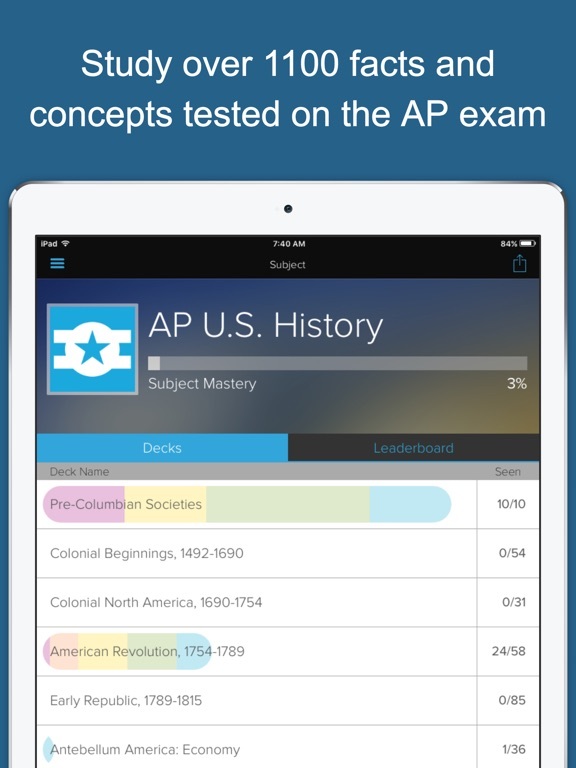 And AP U.S. History Exam Prep is more than just a set of facts and definitions; we also present the context and significance of many important historical events. 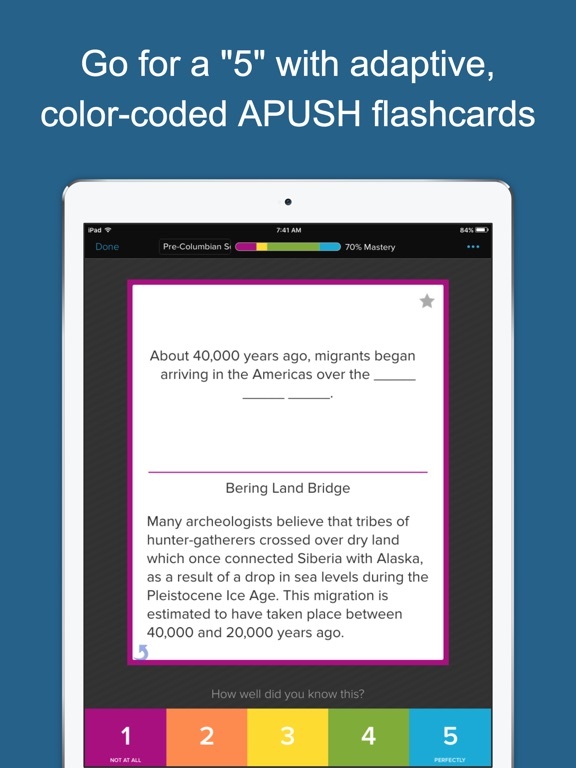 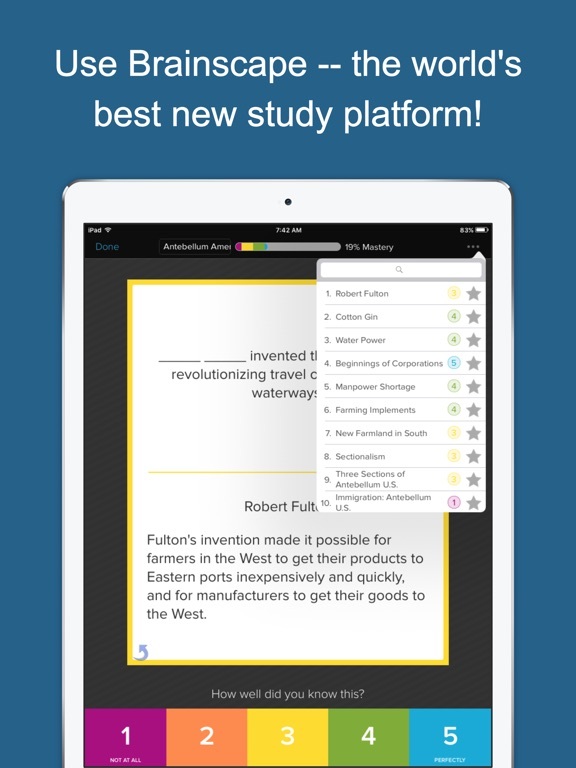 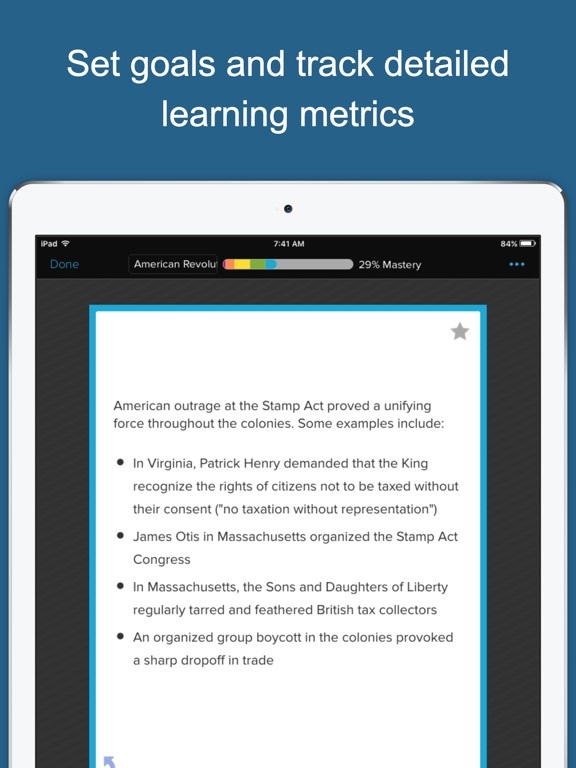 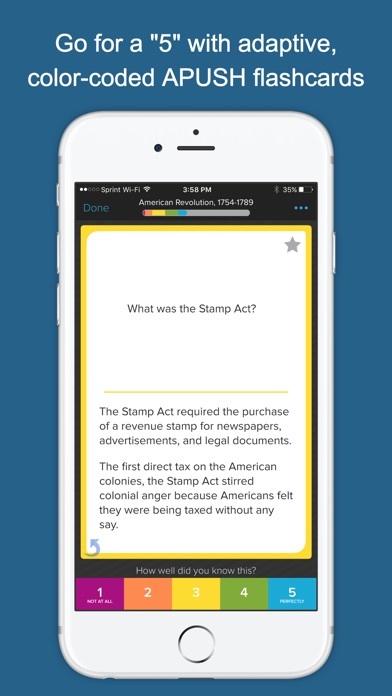 Whether you want help with your history homework and quizzes, or want to do a comprehensive review for the AP exam, these flashcards will put the most important facts and concepts of U.S. history at your fingertips. 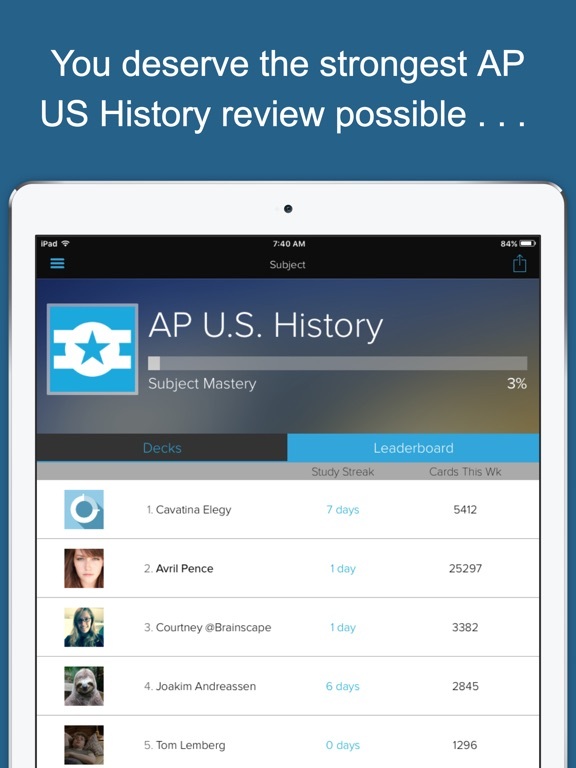 Study by time period, or with a randomized mix; search for specific names and events; check your stats to track your progress -- it’s up to you!